Think of your favorite website in the whole world. Have you got it yet? Good. Now let’s think about why that’s your favorite website. What are its website features? Does it have a clean design that guides you straight to the focal point of the page? Is there lots of helpful copy that teaches you how to better tend your garden, or prepare guacamole? Is there a blog ripe with beautiful travel pictures that have you booking your next vacation to Cinque Terre? Websites can say and do a lot. They bring people to the home base of a business and allow visitors to explore the cracks and crevices, making use of the available content. They make people aware of your location and hours, and the various products you have available. Let’s consider one of my favorite retail websites, J Crew. I first got on its mailing list six or so months ago and, although I almost never purchase a product, I open and click on just about every email. I’m a perpetual apparel lady who loves to see what’s out there, and J Crew’s site makes it so simple to just look around. You can browse by shoes, accessories, clothing, jewelry, or, my favorite, on sale. Being that I’m on its mailing list, I’m notified when J Crew puts items on sale, which includes shoes and professional attire originally listed in the hundreds of dollars. While I am unable to afford most of the original pricing, promotions such as these make their brand more accessible for customers in my price range. This long-winded tale serves to prove the power of a great website. When you create a digital space where people want to spend their time, they’ll keep coming back. And although they may not find themselves capable of investing in your product or service the first time around, your hot content and stellar design could break down their walls over time. The internet is the first place consumers go to for anything. Photographers, restaurants, nail salons, car repair shops: our first step is heading to Google to see what’s available. If your business isn’t online, it’s not relevant to a multitude of potential consumers. While developing a business website is crucial for all companies, it doesn’t have to feel impossible. If you’re a first-timer looking to take your products or services online, stick with us. It’s nothing to be afraid of, and everything to be excited for. Yep, let's go ahead and get this out of the way. 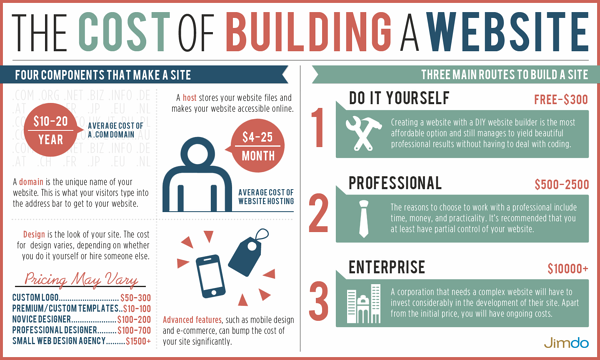 Regardless of the route you go to build your website, cost will vary. There is no one fixed cost associated with designing, developing and maintaining a website. Cost will differ depending on the extent of features you need. If you use a website builder, you may pay a fixed rate according to your package: basic, premium or professional. You may then have to pay more for additional plugins such as eCommerce, or integrations with your content management system. If you want a customized blog or a newsletter, these features may also contribute to a higher cost. They may also be an included aspect of the package you purchase, but this is something you should verify before making your decision. If you hire an agency or website development team, their cost could depend on how many hours they spend working on your site, combined with the difficulty of your expectations. If they design a homepage five or six times, only to have you continually send it back for edits, that could result in a higher bill. Additionally, know that an agency will need to be paid every time they make updates to your site that are outside of your original contract. If your organization has a full re-design one year after the site’s creation, you have to pay for that added labor. This will, of course, depend on the specifics of your contract, but make sure you ask about added cost of re-design or repair in the initial contract development stage. Website Builder expert Connie Wong estimates in their article, How Much Should a Website Cost, that a custom-design site from a web design professional could cost around $6,750. Website building tools start at around $5 per month and go up from there depending on the package you choose. There’s no guarantee that one is definitively a better idea than the other. A talented web designer could have poor communication skills that result in a mismanaged project and vision. A freelance writer could be a fast learner with access to YouTube who is able to follow instructions to personalize her website to her liking. When deciding which direction to go, research and information are key. A domain name is like a home address. It’s where you tell people to show up in order to see you. Website domain names have to be registered, as no two websites can have the same one. If you purchase a domain name separate from a website builder, you’ll have to purchase a web host as well. We will touch on that in the next segment. Website builders will often offer a package that includes domain registration. Free web versions usually make you include the title of the website builder. While it’s not a terrible idea to have the website builder in your domain name, some contacts could consider it unprofessional. Imagine you’re applying for a writing or editing job where content and copy is extremely important. It’s a bad look to not splurge for the unique domain. If your website is a representation of who you are professionally, it should reflect that commitment to craft and profession. Choosing the right domain name is important. Your domain name should be concise and non-complex. While you want it to be a fun or professional description of what visitors are about to find, it should also be easy to spell or re-direct friends and family to. No one should have to try multiple iterations of a word before they’re able to find the right website. 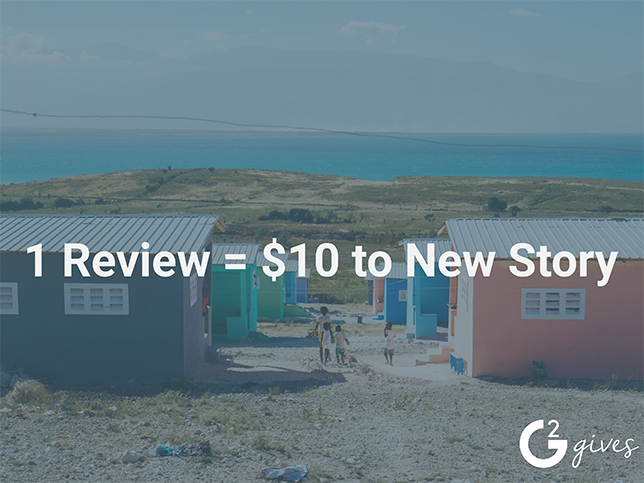 TIP: You can use G2 Crowd's domain registration research hub to learn about over 180 registration providers and read reviews from real users on the best domain registration providers in 2019. When you go to a party, there’s usually someone in charge. Either the person who lives at that home, or the person who is throwing the occasion. A party without a host is just a bunch of distantly acquainted people mingling in a confused state. Do we eat yet? Is this a cash bar? Who is that cake for? A website without a host is even more lost and confused. Website hosts, or website hosting providers, are necessary in order for websites to be accessed by the greater public. Web hosts store these domain names in servers. When visitors type in your domain name, they are connecting to your server, or the server on which your information is stored. You will need a web host before your website can go live. This can be provided through a website builder, or purchased individually. TIP: You can use G2 Crowd's website hosting providers research hub to learn about over 230 services and read reviews from real users on the best web hosting providers in 2019. A content management system (or CMS) is the business standard when creating a new website. A CMS is the infrastructure that works behind the scenes creating, managing, and storing all digital properties - allowing you to focus on the content. Developing a site on a CMS has varying levels of difficulty. For those in need of a simple blog, ecommerce store, or other simple site designs can look to one of the many free website design themes that come either free or at a low cost. TIP: You can use G2 Crowd's CMS research hub to learn about over 250 services and read reviews from real users on the content management system providers in 2019. WordPress has two different offerings: WordPress.com, and WordPress.org. The former is their WordPress hosting offering. The latter is their website builder and content management system. This open source software helps you either create a website through code, or design it with the help of templates and facile customizations. WordPress.org provides templates or themes that are geared toward, but not limited to, certain industries and professionals. Their sites are optimized automatically for mobile use, meaning you don’t have to spend any extra hours trying to get your pages to look good on phones. 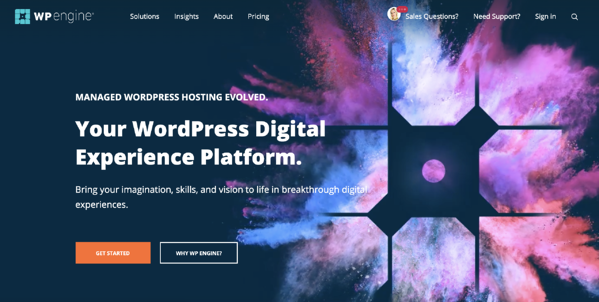 Another benefit of Wordpress is that being one of the most popular managed hosting and website builder, their are thousands of useful plugins for Wordpress. It also boasts powerful media management, and organizes as well as publishes your documents and other digital media. It has a plugin to also become an online store, meaning it’s not just limited to blogs and portfolios. It has a plethora of other featured plugins such as one for contact forms and another to customize admin dashboards. HubSpot is a good content management tool for people who know code and want a templated solution that can be customized according to their unique design and function desires. HubSpot has a lot of features that support other business functions, such as a marketing hub and CRM software capabilities. They have a sales hub and, coming soon, a customer hub. Content management solutions such as HubSpot are beneficial for organizations looking for a tool to do more than design a webpage, but also help with the overall success of the business. Many different teams benefit from utilizing a tool such as HubSpot, but obviously, if you don’t have these various teams, it may not be a relevant solution for you. Businesses have been created by professionals and amateurs with varying levels of expertise. With the evolution of website building technology, business people no longer have to have a lengthy background in code in order to create an effective and beautifully designed website. Before we get into some of the various website builders, let’s talk more about what that phrase means. According to the definition on G2 Crowd, “Website builders provide users without extensive development knowledge a basic platform for creating websites by utilizing templates with drag-and-drop capabilities to easily create and maintain a site. They often provide domain name offerings, search engine optimization, analytics, e-commerce plugins, and mobile web functionality. Website builders are used by businesses of all sizes and can range from promotional outlets for artists or personal websites to advanced e-commerce stores. There are a couple different types whose features and offerings vary slightly. All website building tools hope to help you better brand and establish your business so you can get back to your main focuses. For those with smaller budgets, there are many free website builders that can be leveraged. These are also great options for those looking to make a blog. Recommendation: For non-development professionals looking for a quick way to create a portfolio or personal website. Be sure to research the best website builders in 2019 before selecting a tool. Wix has all of their features thoughtfully and helpfully listed out on their website. They have different offerings for businesses, online stores, photographers, musicians, designers, restaurateurs, event-managers, portfolio and CV, and more. 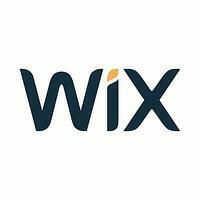 The Wix editor allows you to enter code if you know how. With their online store feature, they can turn your website into an eCommerce site. They also offer you an SEO plan to help with SERP ranking and overall site success. Squarespace lets you start at the very beginning: by searching to see if your desired domain name has already been taken. They, like others, have templates for various website types such as online stores and portfolios. These templates can be customized through drag and drop features that help beginners establish basic design elements. 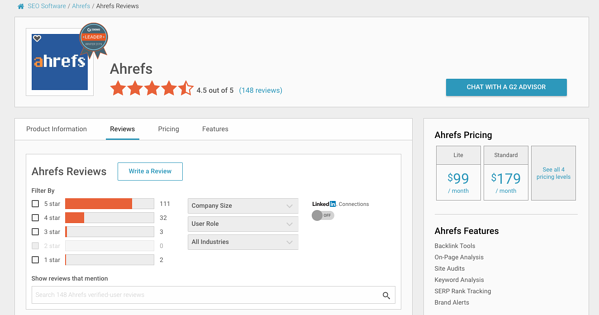 Some reviews have stated that Squarespace is for more beginner website creation and not as geared toward knowledgeable development professionals. Like HubSpot, Squarespace offers marketing features to help grow your site’s reach and potential. 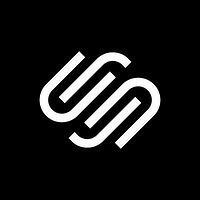 The platform sometimes comes under scrutiny for not ranking on Google, but there are many Squarespace SEO tips that can help a Squarespace rank. Squarespace also advertises on their site that representatives are on hand around the clock to support their users. This means that when you sign on with a site such as Squarespace, you have technology professionals ready to help troubleshoot at all times. This will be an important feature to many looking to use a website builder, as some issues and malfunctions will be beyond your understanding. 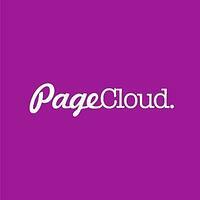 PageCloud is an example of a website builder that allows users to utilize drag-and-drop features to build custom websites without the use of non-original templates or coding skills. At the same time, PageCloud has features that allow developers to go in easily to customize the code (if needed) and offers tons of integration options to sync to third-party tools such as email marketing and eCommerce solutions. Drag and drop website builders make the whole process as simple as creating a PowerPoint presentation. Similarly to how PowerPoint provides text boxes where you’re encouraged to include headers, names and text, drag and drop website builders provide templates that mark pretty clearly what elements of your website can go where. As with most any website builder, you get to choose from a variety of pre-existing templates. These templates are sometimes geared toward your industry. For example, if you run a catering business, there might be a template that is optimized for culinary photography and restaurant menus. Once you’ve chosen a template, you get to make the website your own. You can begin customizing the site however you see fit. You can add tabs such as information, hours, blog, photo gallery, about, and any other pages you think would help customers benefit from their visit. It’s called drag and drop because, once in the customization phase, you can literally drag and drop elements where you need them to be. Headers, bylines, photos, captions, text boxes and any other element can be moved around as you like. The one limitation of drag and drop editors is that you have to choose from their repository. If they don’t have a certain font you like, you can’t build it in unless it allows for coded design. While this editor is by far the most user friendly, it can also be fairly limited depending on what you’re willing or able to pay for. Recommendation: For non-development professionals building a business app, not necessarily a website. Be sure to research the best drag and drop application builders in 2019 before selecting a tool. 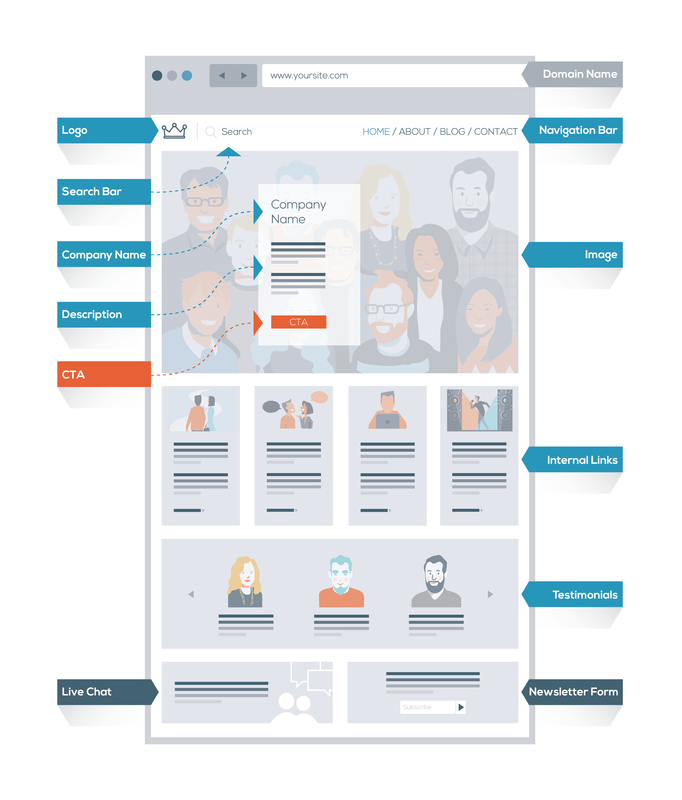 WYSIWYG (pronounced wizzy-wig) is a long and dramatic acronym that stands for “what you see is what you get.” This software solution is sort of an out-of-the-box website builder. These websites operate with a fixed layout, meaning there is limited ability to customize the design without knowing how to edit the code. WYSIWYG editors and website builders also do not require code, and elements can be arranged through the drag and drop method outlined above. Users can usually add custom HTML to elements if they understand how to write code. This method is much more visual and allows you to see the changes as they’re happening. If you’re having trouble understanding why someone would want to use a WYSIWYG editor as opposed to all the other options they have, watch this video by creative entrepreneur, Roberto Blake. Recommendation: For non-development professionals build a new website who are confident in their ability to take on a challenge. Be sure to research the best WYSIWYG editors in 2019 before selecting a tool. You’ll be outsourcing a designer to help with the look of the website. The color scheme, navigation details and tabs, font types, header images, etc. Anything that has to do with the look of a website has to do with the designer. The developer then takes these things and turns them into code. Like an adept language translator, they take what they’re given and make it an operating website. Unless you have your own marketing team or digital strategists, you may also want to outsource marketing professionals to optimize the site. This means hiring people to help you include the right copy and content to increase search rankings. You can hire these services out independently, or find one agency you really like that can address all three. The former will be a more difficult process, as these various professionals have to find time to communicate with one another what their expectations and desires are for the site. This can elongate processes and lead to tension and frustration. I would only recommend outsourcing independent parties if you have a designer or developer you really want to hire, but who you know works alone. Before hiring an agency or an individual, ask what elements you have to bring to the table. Do they provide the domain and server, or do you have to come prepared with that? Do they have a custom content management system that can store and organize your content, or, again, do you have to come prepared with those materials already purchased and set up? We’ll talk more on this later, but keep it at top of mind. If you do outsource the design and/or development process, it’s worth considering that these individuals may also have to serve as your troubleshooting or support personnel. If you didn’t have the knowledge to create the site, it’s likely you also won’t know how to fix specific issues such as the site crashing or content disappearing. When you consider an agency, or individual, ask what they do in these circumstances. Is it part of the overall fee, or will you have to pay out of pocket every time something goes wrong? Understanding these specifics will help you make a more informed and prepared decision which could save you hundreds to thousands of dollars down the line. Recommendation: For non-development professionals in need of a functional business website. Be sure to research the best website design agencies in 2019. Different websites serve different purposes. The type of business and goals you have should heavily influence the type of website you create. Let’s walk through some various types of websites to help determine which is best for you. Perhaps most obviously, businesses wanting to sell their products online should have a website with eCommerce functionality. eCommerce platforms come in a variety of shapes and sizes. There are platforms such as Shopify that are built for this specific purpose. Then, there are website builders that have eCommerce plugins which turn your website into an online store. When looking to create an eCommerce site, consider all of the moving parts. If you’re selling something tangible as opposed to a software as a service (SaaS), make sure your platform has e-commerce shipping and order fulfillment features. If you’re selling something that requires users to have an on-site login, make sure your platform has those capabilities and be sure to pay attention to things such as shopping cart conversions. Recommendation: For non-development professionals wanting to build an online store. Be sure to research the best e-commerce platforms in 2019 before selecting a tool. Shopify is an eCommerce platform. Where as the previous website builders offer an eCommerce functionality or integration, Shopify was specifically created to host online stores. They offer themes that can match your desired branding, and allow you to customize the spaces that still need work. 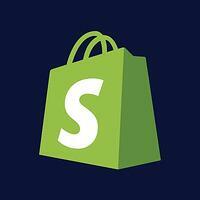 Shopify optimizes your site for mobile purchase. You can host your entire shop on Shopify, meaning they are in charge of making sure payments are secure and private. They also allow you to purchase a domain name. Everything that can be done through a website builder can also be done through Shopify. Don’t let the eCommerce platform phrase make you feel pigeonholed; this site can still support the creation of published content such as blogs and lookbooks. It just so happens to have stronger support for eCommerce functionalities such as payment acceptance and shipping capacity. 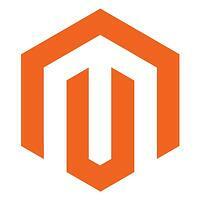 Magento is another eCommerce platform. It allows users to customize content, create incentives based on identity factors such as location, and offer targeted buying options. It offers solutions by varying business need such as small business, global expansion, and omnichannel marketing and selling. They also cater to specific industries such as food and beverage, health and beauty, and automotive. This guide from ServerGuy does a great job of highlighting how to hire a Magento developer to help build your perfect site in 2019. 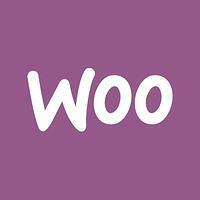 WooCommerce is another example of an eCommerce platform. WooCommerce allows professionals who run online stores a platform to sell their products anywhere in the world. WooCommerce also sports an entire online marketplace of plugins and extensions from some of the eCommerce world's top brands such as Stripe, PayPal, USPS, UPS, MailChimp, Jetpack, and more. The huge selection of WooCommerce plugins is one of the reasons the platform is so popular in the eCommerce community. 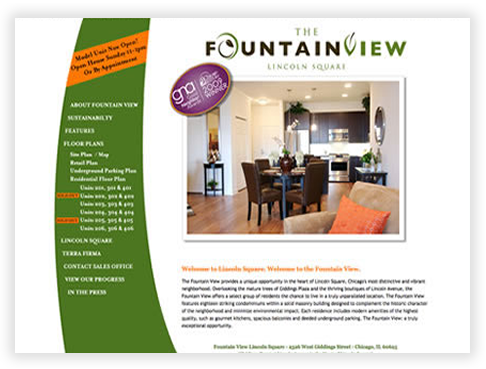 Brochures and static web pages exist mostly to enhance a product or company’s branding. Consider the information you get from an actual brochure. It may tell you a business’ hours, location, brief history, and what products or services are offered. There is no detailed catalogue of goods listed in a brochure, or opportunity to sign up for a weekly newsletter. Brochure-style websites are the same way. They exist as a home base for visitors to learn a little more information about the business. Brochure web pages are also a great resource for salespeople, as they can offer potential clients a deeper look into a products’ use cases or other information. These static web pages are not updated unless information changes. They do not require daily maintenance, as other websites do. If you want to get a little more into it, you can use a content management system to help organize this brochure web page. 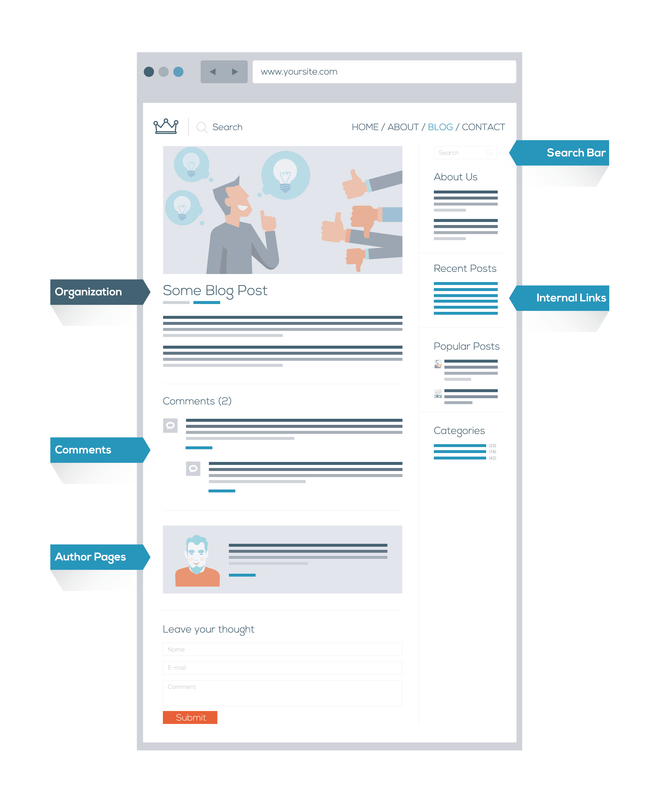 A CMS tool is helpful in this scenario, as it allows you to develop and organize the revolving content that you may wish to add to this page. A CMS tool doesn’t necessarily turn your website into a blog or portfolio, but gives you the option of adding more updated content to the site as you see fit. Lead generation sites are almost entirely for sales teams. 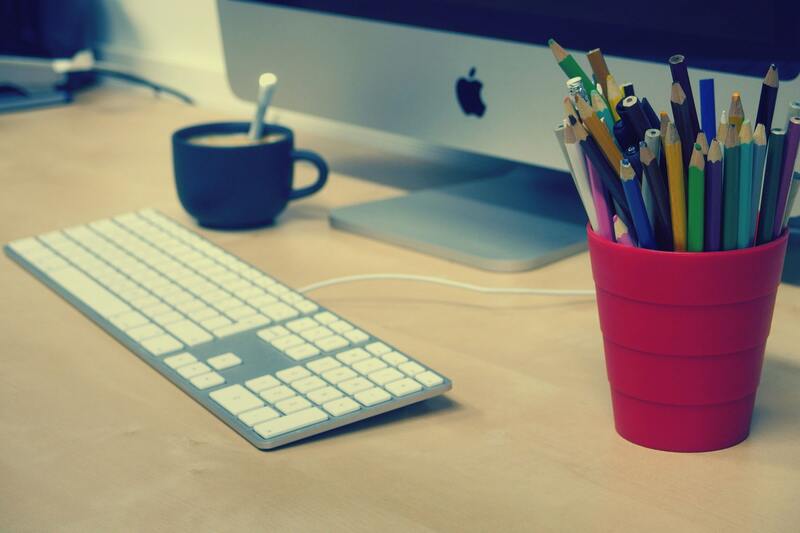 These websites are helpful for products that customers may want to demo before purchasing. 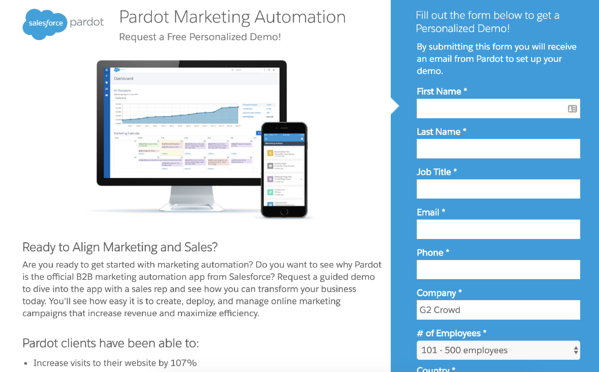 For example, a SaaS company might have a lead generation site that asks visitors for their email address and phone number in order to access a video demonstration of their product. This offers the visitor valuable information regarding the product, while also developing a contact book for sales professionals. Lead generation sites are fairly static in their own way. It’s usually a single landing page with a contact form. Once contact information is submitted, the promised collateral is either emailed to the visitor, or made downloadable on the website. These sites require less maintenance than an active website, and may only need an update to the design or content offered every so often. The publishing or content website is popular for publications and any individual or business who wants to utilize written or visual content to fortify their site. The publishing site is used for bloggers, photographers, writers, or anyone who may need to share a portfolio of professional work. Additionally, many businesses want to use blogs to update visitors on what they’re selling or what’s new within the organization. This can be done with a website integrated with a content management system, or a website builder that has blogging or portfolio functionalities built in. Many website builders allow you to choose the type of site you’re trying to create, which is where you’d look for a template geared toward content or portfolio. This is the type of website you see news outlets publishing on. With so much written and pictured content, it’s important to have an interface where one can neatly organize and display these things with design in consideration. Support websites exist for situations where customers need extra help troubleshooting or resolving an issue. Agents run these websites and help assign issues to the employee who has the knowledge and skills to help. Support websites are quite specifically geared toward those wanting to provide customers a designated place to have their issues addressed. If you are using your website as a personal blog or portfolio, you probably do not need to bother with a support page, because you aren’t selling something that could malfunction. Some websites will feature support as a part of their digital landscape, but not the whole thing. Many website builders will have a separate offering for stand-alone support sites, or they’ll allow you to add them onto your existing site. Web applications are for websites that have more complex responsibilities. According to TechTarget, they are, “an application program that is stored on a remote server and delivered over the Internet through a browser interface.” Web applications help you perform more complex tasks through your website, such as instant messaging and subscription management. If you’re looking for something to do more than exist as a basic blog or landing page, look into web application functionality to determine if that’s what’s right for you. Websites are like a puzzle but instead of getting a box full of pieces, you make them up as you go. While website builders will provide you a basic template or cookie-cutter solution, it’s up to you to fill those holes with exactly the features and tabs you think will strengthen your business practices and overall success. The front-end of your site is what visitors see. At an amusement park, it’s any part of the park patrons are allowed to go: restaurants, rides, restrooms. The back-end of your site is accessible only by you and your team, and it exists so you have a place to edit, publish, and run other administrative tasks. The elements you require will vary, again, depending on your industry or the purpose with which you are creating this site. If this site is solely for leads, you don’t need a blog. While the list of elements can certainly go on for days, I’ve picked a few of the more popular ones for discussion below. You don’t have to have any of these pages on your site, but look to your competitors. Do you have the same pages as them? What value do you think their choices have driven to the site? Let questions like this inform your choices, too. This is the location visitors are directed to when they type in your website URL without any other information. Homepages are non-negotiable; you have to have somewhere for visitors to land. They should be informative, but not over-whelming. They should display your brand or personal name and logo, if you have one, and offer a brief introduction to the site. Either a motto, short phrase, or one- to two-sentence description of your site’s purpose will do. About us pages are useful for telling visitors a little more about your story. If you’re a blogger who writes primarily about your medical condition, an about page serves to introduce new readers to who you are and why you’re writing. If you own a tech company, an about page is a great place to pen a little bit of your origin story and provide some humanization to your product or service. Being someone who loves beans, I’ve done some deep-dives into the Bush’s Baked Beans about page. The Bush family really goes in-depth about how this celebrated business began, what it’s like to have survived so many decades in the bean business, and where they are now. While you can certainly enjoy a can of Bush’s Baked Beans without knowing their family history, it personalizes the corporation that much more to know the narrative behind the noms. 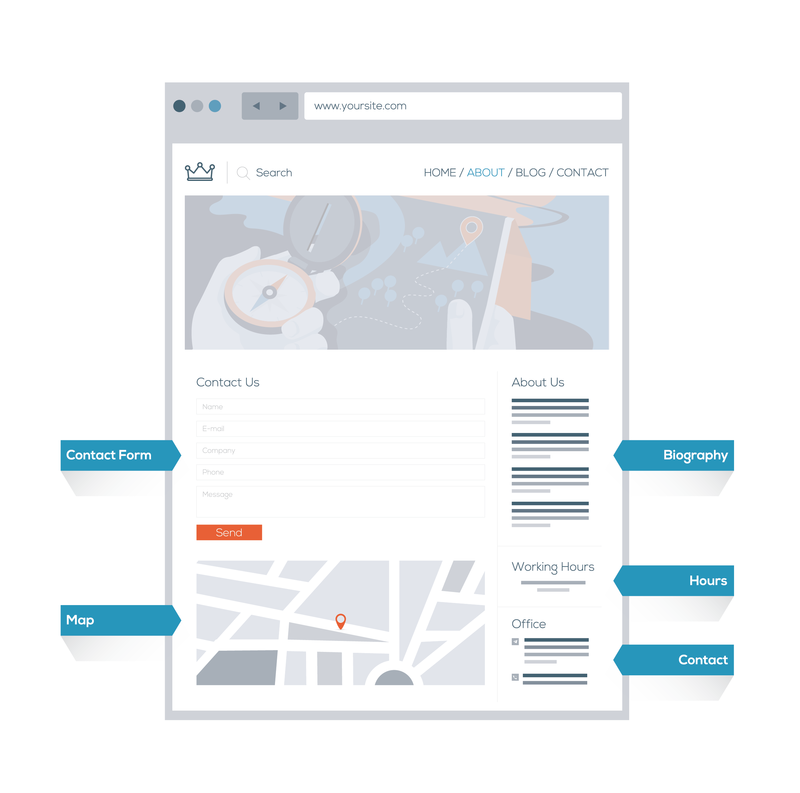 A works page is relevant if you’re using a website to garner interest in your services. Writers, photographers, graphic designers, interior designers, hair stylists, and tattoo artists are all professionals whose business might improve if they include work samples on their website. People like to see examples of the work they’re about to invest dollars in. It gives them a sense of security, and displays your professionalism in having a portfolio developed. Blogs aren’t just for professional bloggers! Perhaps surprisingly, blogs are utilized across a number of roles and industries. Fashion retailers might have a blog on their website to display how their new spring looks can be styled. An accounting firm might run a blog on their site to offer financial tips and tricks throughout the year. Blogs drive traffic and offer additional content for users. Consider having a blog on your site if you’d like to engage with visitors in this way. Also, have a blog on your site if you are, in fact, a blogger. This scenario is relevant to online retailers. Visitors want your site navigation to be intuitive. They don’t want to have to search through a number of links and barriers just to find your selection of men’s neck ties. Consider organizing your products from general, to specific. You can split up products by men’s, women’s, youth and child. You could spit it up by pants, dresses, skirts and accessories. However you choose to split content up, make sure it travels in a way our brains naturally want to read or navigate it. Every website should provide some method of contact. Your visitors and customers want to get in touch with you. Why make that so hard? This page will often include business hours, location, an accessible email address or form that goes to a support inbox, and a map of how to get to you. It is so disheartening to not be able to get in touch with a business. It shows they don’t care about what customers have to say, and it makes customers feel unsupported. Who wants to do business with a company that ghosts clients? If you’re offering any type of product or service, you should have a contact information or support page. Are you looking to hire new rockstar candidates? Good! Put that on your website! After perusing your products and your about page, it’s possible individuals are rearing to work for you. Don’t write yourself out of that possibility; include a careers page on your website. This also opens up the opportunity for you to include team pictures and bios, effectively making your employees feel more like they belong at your organization. 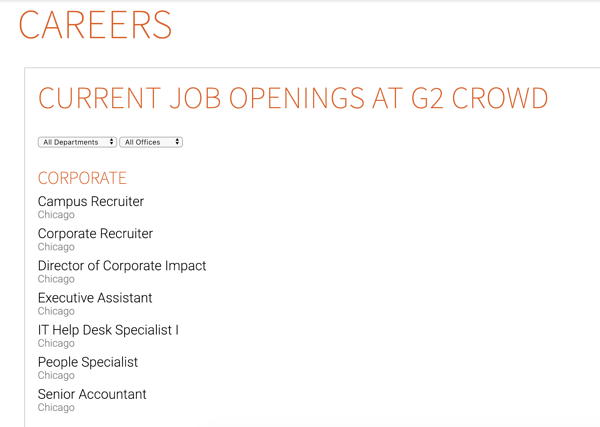 Career pages are quite shareable within your internal networks, and they’re a great way to find candidates who truly want to work for your company. They didn’t just come through a job site or recruiter, but they actively sought out your careers page to pursue this opportunity. If you are growing and looking for new talent, don’t be shy about it. Your website is the perfect place to brag about what you have to offer. Calendar pages are useful if you’re offering events, seminars, classes, shows, or anything else that can be scheduled out. Calendar pages allow visitors to see event details such as date, time and location. If you have a ticketing system integrated into your website, users are able to purchase tickets for events through your calendar. If you have a blog or any website that is publishing content - newsletters, product updates, employee bios - you’ll want a content management system or feature on the back end of your site. Many website builders come with content management tools or features. In other cases, you may have to pick out a separate CMS tool and integrate it with your website or website builder. Content management tools are an invaluable method of storing and organizing copy and other digital media. They can help you schedule out posts and analyze visitor statistics and demographics. 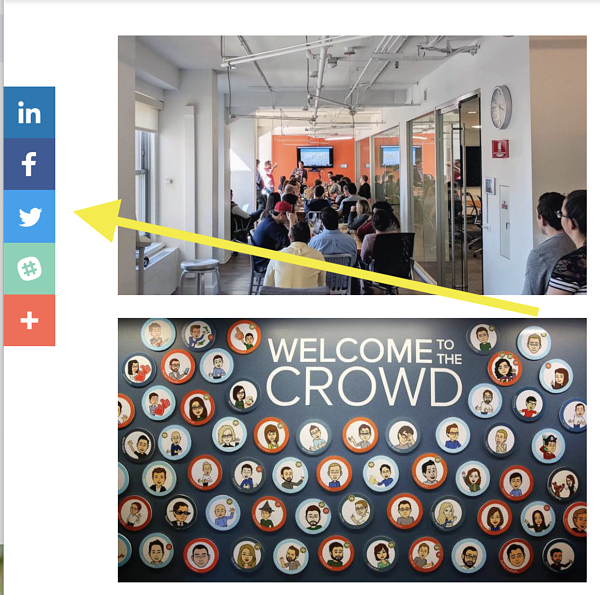 You can organize content by author so various contributors have access to their posts. You can also organize content by team to reduce the typical confusion associated with finding documents. If you have a website, you probably have customers. If not clients, you may have visitors whose contact information you want to organize and retain. 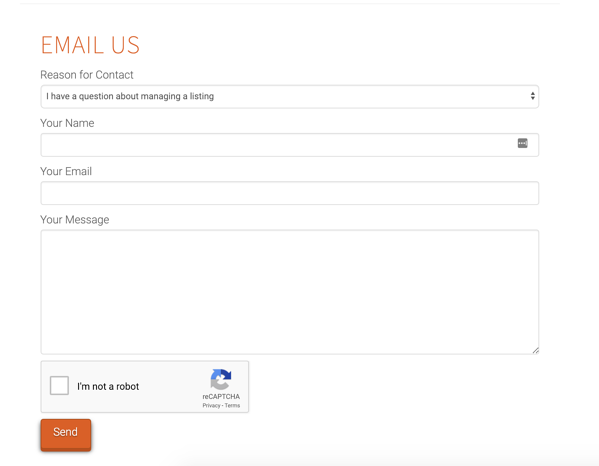 This can be done through contact form plugins or contact management done through the back-end of your website. This helps you keep track of customer or visitor relationships and can aid your sales team in their efforts. Even if you don’t have a sales team, contact management can help with newsletters and other communication. A website’s back-end is also used to manage subscriptions, accounts or user login information. If your product or service has users sign up to create an account, there needs to be a designated place to manage that. The back-end of your website is where you can take care of customer account information and administration, also known as the customer portal. If things go wrong with your site, you’ll need to fix them, or hire someone who can. The back-end of the site is where developers and other support personnel fix site errors and address 911 requests such as a full site shutdown. It’s also where they proactively develop and store the code and data that makes the website functional. The aforementioned elements are just a few examples of what you’ll need in order to give visitors an incredible user experience. The necessary elements will, as always, vary by industry and the goal of your website or business. If you’re trying to figure out what all should go on your site, use this as a jumping off point and expand from there. Another strategy that is useful in almost any business scenario is looking at your competitors. Visit their websites and see what tabs or content they have uploaded. Don’t be afraid to let your competitors do some of the work for you. If you admire their business tactics and enjoy the experience of being on their website, take some of their wisdom and apply it in your own unique way. There is one major question among many professional marketers, influencers, bloggers and content producers of various industries: how do I consistently drive traffic to my website? If there were one blanket answer to this, I wouldn’t still be writing. Our work would be done. We could all grab our coats and go home. The truth is, a successful website has no set formula. Every day, we’re trying our hardest to produce new and innovative strategies that will draw attention to our products or content. Going viral is never a guarantee. What you can guarantee is your commitment to working hard and remaining agile. You don’t just publish a website and call it a day. They require constant maintenance and upkeep. Like a gentle geranium, websites must be well-watered in ordered to grow. The following tips and tricks will not guarantee an instant internet explosion, but they could help you steadily grow your unique visitors over time. They go beyond the initial startup and development stage and come into play as you’re hoping to further build out a brand and increase awareness. Because you don’t want a few short spurts of attention, but rather a consistent and increasing stream of loyal visitors. To optimize something is to make it the most effective or efficient as possible. Optimizing content means rewiring it to most effectively accomplish the goal of your web content: driving traffic at an increasing and sustained rate. SEO, or search engine optimization, is a hot buzzword in website and marketing strategies. Essentially, SEO means developing and wording content in a way that aligns with how your targeted demographics are searching it. In order to really make your website successful, publish your content with keyword research in mind. This means utilizing SEO software and tools that inform you of the search rankings for certain words or phrases. Following an SEO strategy will direct unique visitors to your site, as you’ve published exactly what they’re looking for. Some companies have employees whose entire role is to reach out to bloggers and other publications or companies to see if they’ll link back to their website. Smaller companies or site administrators may not be able to devote as much time to backlink strategies. Our URL opener is a great time saving tool for those types of team members qualifying and gather author info on large lists of URLs to conduct backlink outreach for. The more backlinks you have, the more Google begins to recognize your website as something worth ranking higher up. If you have a couple minutes, or can even devote a few hours a week, to pursuing backlinks, you should. Backlinks can be attained by reaching out to other blogs or publications and leaving comments on their content. If you’ve produced quality posts and resources on your own page, that contact is more likely to share your site with their own network. It’s also important to know when you get a backlink. This can be arranged through software tools that monitor referrals to your site. You can also use tools that allow you to search the web with your URL to see who is linking to it. Examples of good backlink tracking tools include Ahrefs and SEMRush. Backlinks are a useful networking strategy, as they get you in touch with contacts who are interested in your content. This could turn into a useful relationship where you continue to boost each other’s content, or at least remain allies of the industry, over time. Analytics are important because they help you improve site performance and user experience. If users are frequently bouncing off of one page, you know there may be a technical issue, a problem with design, or a general disinterest in the content on that page. This lets you know that some redesign or re-working of content may be in order. Having an overview of who you are attracting to your site is also imperative in order to create a strong marketing and/or content strategy. You can either decide to cater to that demographic, or rework content to attract a more broad crowd. Having social media profiles is a great standalone way to build out your brand. It’s also a great way to increase traffic to your site. You can integrate popular social media sites profiles with your website so engagement with one increases engagement to the other. For example, use your Twitter profile to link to a recent blog post that your followers should check out. Use Instagram to advertise products that visitors can then go to your website to purchase. Use Facebook to share events that users can learn more about on your site’s calendar page. You can also use your site to drive traffic to social media by including icons that navigate users to your various profiles. This increases followers, which means you are getting your brand back in front of potential customers on a more regular basis. Social media marketing software can help you manage the social efforts of a business. Communications helps remind consumers about your brand. By sending out a weekly newsletter or creating video updates, you’re giving consumers a reason to interact with your content. They may see your deals or new products and click over to see if you have their size. They may bookmark the content for when they have more time, or send it over to a friend who had just been talking about that same thing. By communicating with your visitors, you’re increasing the odds of steady traffic over time. These emails or other updates serve as a reminder of your brand and what you have to offer. This may come as no surprise, but I’ve certainly clicked on email newsletters full of items I previously had no intention of purchasing, only to end up with a few new items in my cart. I’ve given you some generic housekeeping tips and ways to maintain and then grow your site’s reach over time. But let’s dive into something specific: video content. Video content boosts your SEO, which we mentioned earlier affects how your website ranks in search engine searches on sites such as Google, Yahoo, Bing, etc. I know, we’re throwing a lot at you in the process of developing and managing your website. First, you have to have a design eye. You have to figure out content management tool and social media integration. And now you have to become an actor, screenwriter, video producer and editor, as well? Explainer videos are usually made for specific marketing campaigns or efforts. They serve to walk viewers through a process or product in a way that increases understanding. Even if you’re not creating a video specifically to explain, you can still abide by the same advice. If you follow these upcoming tips and tricks, creating SEO-boosting video will not be as daunting of a task as you may currently expect. Work with writers on a script — If writing isn’t your forte, you’ll need to hire a professional to work with you on a script. Maybe you have writers on staff who can take up the job. If not, you might consider a freelancer who works in your area and has commercial experience. Your explanation video isn’t exactly a commercial, but a lot of the strategies are the same. Scripts should be fairly brief and relatable to your audience, with a clear message. Having a script keeps people who may not be comfortable in front of the camera from having to improvise on screen. It also makes sure your team stays on top of the message you’re hoping to deliver. Invest in software or video help — You don’t want the only video content displayed on your website to be shaky, blurry, and inaudible due to outdoor construction or noise. Hiring videographers or investing in the right software will improve the quality of your video tenfold. You don’t have to have the latest or most expensive equipment, you just have to have good lighting, good sound, and good content. Entire movies have been shot on iPhones and have gone on to win awards and other accolades. If you choose not to go with a videographer, you have the option of again finding a freelance video editor to stitch the pieces together in a compelling way. You could also follow in the ways of many young entrepreneurs by using online tutorials to teach you how to make good use of the video editing software. There are many free video editing software tools targeted towards beginners that brands can leverage. Some brands choose to do an animated video on their site, which is a great tactic. Again, just make sure you have the right software or individuals to create the quality video your visitors deserve. Don’t overwhelm the viewer with too much information — When creating a video, it’s best to keep it short. Studies say viewers lose interest after just 30 seconds into a video unless they have compelling reason to stay. It doesn’t help that your video will be business content, as opposed to an interesting music video or YouTube channel viewers are purposefully seeking out. Your explanation video does not have to be your explanation feature film. It can be a few minutes of who you are and why your product or service matters. In respect for your audience, get to the point quickly, without dragging introductions out. Clarify what you want viewers to gain from, or how they should respond to, the video — Having a call to action takes your video content from informational, to instructional. It gives the video a purpose, and provides the visitor a purpose in coming to your site. Do you want users to sign up for a newsletter, leave a review of your product, watch a demo, reply with their own introduction video, or perform some other action? Let them know! Viewers are on your website because they’re already interested. Make sure your video encourages them to take the next step, whatever that looks like to you. Know who you’re talking to — Remember earlier when I told you that understanding your audience is vital to website success? Well, here’s an applicable real-world example. Different types of video content will attract different viewers. Who you’re trying to attract will affect your script, setting, tone, humor or lack thereof, and all other factors. Have you ever seen a brand or even a person who doesn’t understand youth try and talk to teenagers? It’s awkward and uncomfortable and all parties want it to be over. You’re better than that, though. You know to make use of analytic tools, and to research what your audience responds to. When you choose to address an audience, they listen. The importance of an online presence is no joke. The internet is like a giant flea market, and not having a website is like forgetting to rent a booth. If you aren’t represented, how can customers find you? Say a tourist comes to your store and purchases a leather jacket. The following week, the tourist and her family get caught in a huge rainstorm and the leather becomes stained. The first, she finds nothing. No homepage, no phone number, and no way of contacting you. She resorts to amateur advice on the internet, and worsens the stain. Her new leather jacket is ruined, as is her impression of your store. In the second scenario, you have even the simplest webpage with an email address and phone number. She calls and your whole staff remembers helping her pick out a black fencing jacket. The manager is devastated that the product and customer are distressed, and, along with her advice, she sends the customer a can of complimentary leather honey to restore the jacket to its original condition. What is the difference in these two scenarios? Accessibility. If customers can’t find you, you can’t continue to serve them after they’ve left your premises. By having a simple contact page, this leather shop is able to serve customers after the purchase is complete. More in-depth analytics can also determine where the majority of your visitors are from geographically, as well as how old they are. This helps business owners better determine the makeup of their customer base so they can make future plans accordingly. These analytics can inform you if you’re struggling to reach a younger crowd, allowing you to re-strategize or design advertising efforts accordingly. Another aspect of personalization through a website is the ability to ask visitors for their contact information. Many websites do this by offering some sort of incentive, such as “sign up for our mailing list and receive 10 percent off of your first online purchase.” Once you have this contact information, you are able to add them to your mailing list, if you have one. Mailing lists allow you to send consumers regularly scheduled newsletters that include updates on which products are now in stock, as well as sales intended to clear out surplus items. Without a website, a mailing list is almost impossible to grow or properly nurture. There’s a brand of clogs I’ve had my eyes on for years. I found them in a targeted ad once and have never gone through with purchasing (that’s quite a theme for me), but have thought about it many times. This particular brand is based out of Sweden and has no brick and mortar stores in the United States. If they had no online presence, I would never have heard of Lotta from Stockholm (click only at your own risk - this is a serious rabbit hole). My point being, their website opened up the brand to me, and made me aware of who they are and what they’re selling. I may not be their dream customer (always lurking, never buying), but I bring them up to my clog-loving friends in regular conversation, and I do hope to save up for a pair someday. Having a website allows you to reach people halfway across the world. It unites people globally who may never meet, but can still share in the same styles, or recipes, or funny video content. With a website, you’re no longer just a small skateboard store in Reno, Nevada. You could be that little but loveable brand teens are sharing with each other at the skatepark. (You know how teens are always sharing brands.) Websites take your store from stationary, to widespread. Have you ever wanted to know more about a company or organization, but were too afraid to ask? Websites are a great way to establish brand among your clientele, old and new. They can bare your logo, announce your mission statement, introduce your team, and share your story. Any confusions or curiosities customers may have about why your business got started or why they should care can be resolved on your website. Establishing brand is important because it helps customers become more familiar with who you are. Think of a brand you like. Do certain personality traits come to mind, personality traits that we usually assign to people? That’s because this particular brand has developed a certain character in the things they do, the content they produce, the copy they publish, etc. Brands are not people and they never will be, but brands are run by people, and they are interacting with people on a daily basis. A website helps you establish brand personality which, in turn, helps customers develop a positive impression of your organization. When you don’t hear from a friend in a while, you either reach out, or begin to drift apart. Businesses aren’t people. Customers aren’t going to reach out and say “Hey SPORTS BRAND, haven’t heard much from you in a while. Is everything okay?” Those customers will likely move on and focus more on the brands that are actively vying for their attention. Keeping an updated website is a great way to remind customers that your business is thriving and regularly producing new and updated content. It keeps the conversation moving and encourages customers to come over and see what’s happening, whether through a digital visit or by coming into your store. This consistent communication is vital in a world packed with brands and businesses all pleading their case for customers. There are plenty more reasons to develop a website that I’d delve further into if either of us had the time. Reasons to get online can vary depending on your industry, or business goals, or capacity, or demographics, or any other factor we’ve yet to consider. Regardless of your particular motivation, just know there’s space for you, too. Your customers or clients want to hear from you. They’re interested in what you have to say, and it’s up to you to take the initiative to get online and start saying it. Let’s figure out how. If all of the internet is a community, then your website is a little space to call home. Think about all the effort it takes to build a home. Laying the foundation….adding all the other stuff... (I’m a software writer, okay?) and incorporating all of your personal touches. After a lot of time and hard work, you have a place you love where you can kick your feet up and relax at the end of the day. Your website should feel like that to visitors. It’s a familiar place they can visit and not worry about whether the online checkout will work, or if the ebook is going to download properly. A lot of technical steps go into building a website. So much so, that it’s easy to forget the core reason for creating this digital landscape: for the people at home. To make a difference through your product, service, writing, nail salon, or literally any other business genre. In an effort to remember what’s important, let’s go into a brief overview of what we’ve learned about website building, and tidbits we can remember to help us maintain that comfy, cozy digital home. Websites are imperative in this digital age: We rely on websites to help us dig deeper into who corporations or professionals really are. If you don’t prioritize the creation of this space, you may heavily block your own chances at success as you’re keeping individuals from knowing more about the basics of your business. There is no wrong road to building a website: Some people will hire professional designers and developers, while others will choose a website builder to help them self-construct a site. No two sites will have identical elements: The elements that accompany your site are specific to your goals and industry. While another website may have a calendar page, that doesn’t mean you have to follow suit unless you’ve determined it necessary. Use your competitors as a jumping off point, but ultimately remember that your website is trying to capture your company’s own unique point of view. Websites require diligent upkeep: While some sites remain stagnant and do not need daily maintenance, others require near constant attention as content and products are changed out. When creating a website, remain proactive in considering how you will need to handle support issues in the future. Upkeep expands outside of the website: Social media, newsletters, and video content are all forms of maintenance and effort outside of your website that directly affect the performance of your website. When creating your digital space, consider the various strategies you intend to utilize to drive and maintain traffic. We’ve walked you through the nitty gritty, and now it’s your turn to go out and create something wonderful that will attract visitors for years to come. Although the process seems to be riddled with rules and regulations, remember that a website is truly another form of expression, like sidewalk art, or a garage band. At the end of the day, it should be whatever you want it to be. Whatever you feel best expresses yourself, your brand, your message, and whatever feels like a safe and welcoming space for the desired customers or visitors. Don’t get bogged down by the expectations set by great websites that have come before you. Sure, use them as inspiration. But know that your website is a reflection of who you and your brand are, and there’s no wrong way to express that—except maybe by not expressing it at all.